We bought our house in 2008, which included a beautiful ancient vineyard at the end of the garden. In 2010 we made the difficult and sad decision to remove our ancient vines because the harvest of grapes from the vines was poor. 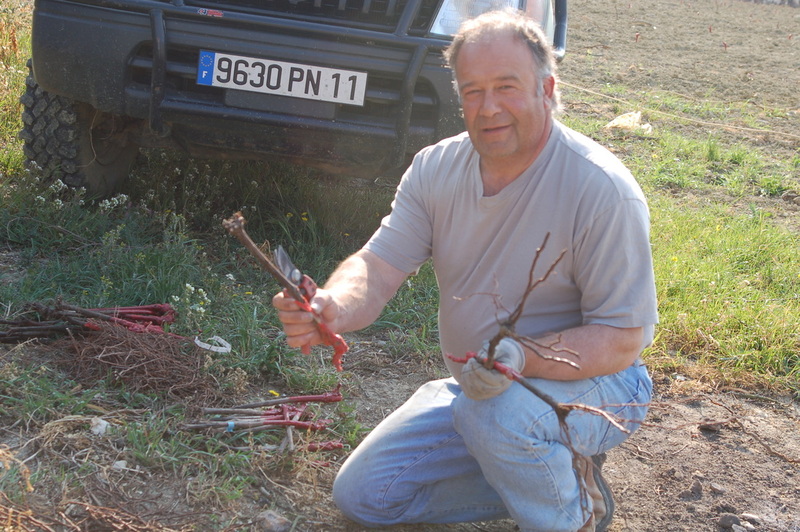 Our vigneron, Gilbert, offered to work with us in planting new vines, which are of the savignon- blanc variety. We are grateful to Gilbert for all his hard work and to the European Agricultural Community Fund which subsidised the cost. 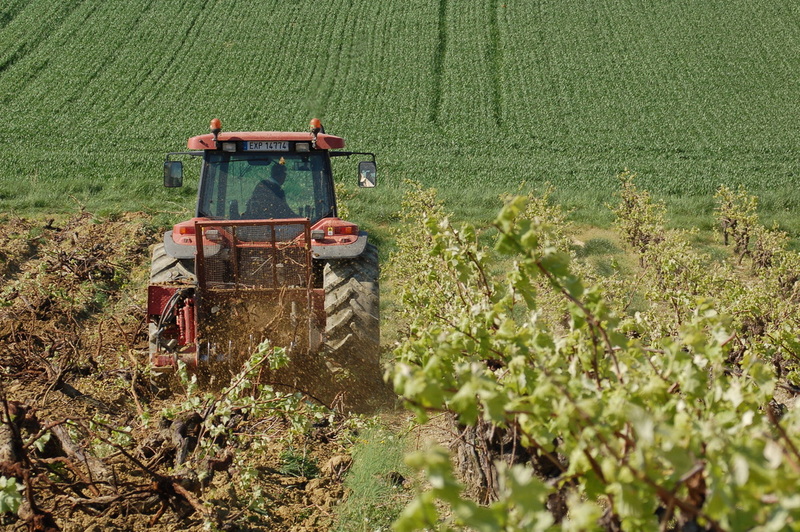 In March 2011 we joined Gilbert and five other farm workers to plant 2500 new vines. It was a glorious and memorable day. It was the perfect day to plant a new vineyard. After all the hard work of planting we all dined outside under the shade of our ancient box tree. 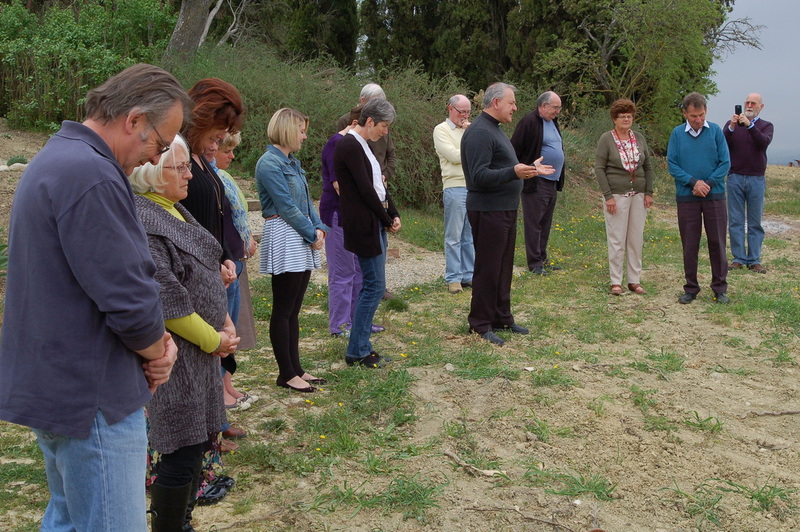 A few months later the Church Chaplain and members of our House Group joined together to bless the new vines. 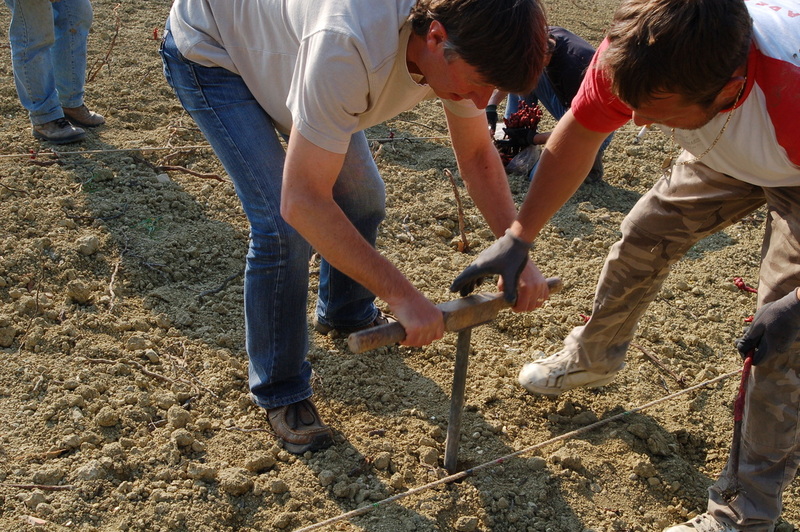 Since planting the new vines we have been involved in caring for the young plants. 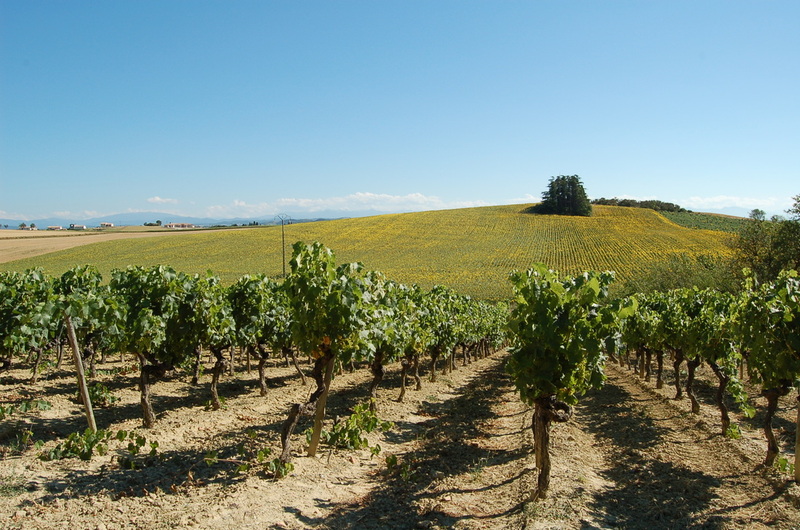 In January 2014 our vines were pruned to encourage them to produce their first harvest. The vines are growing well with the red roses that were planted in November in 2013. 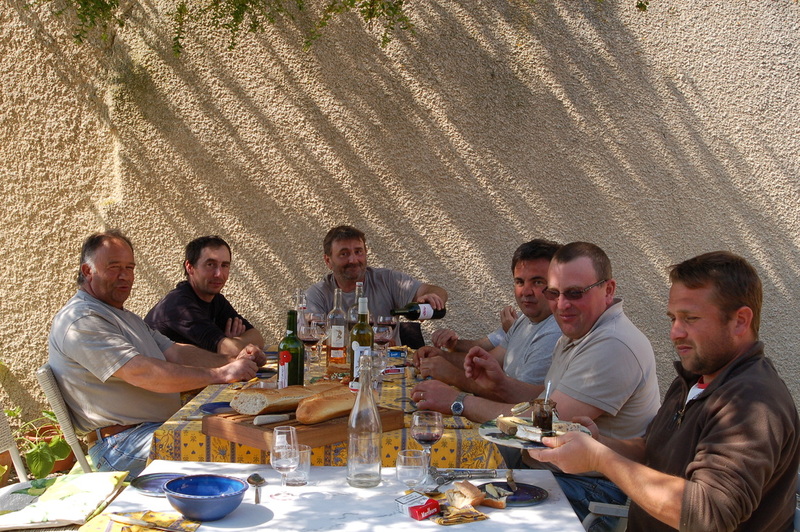 In September 2014 our first harvest (vendange) was hand picked with the help of our Vigneron and friends.